Who was Alexius Comnenus who would wage war in East and West to save Byzantium from edge of the abyss? Who was it who tride to poison him? Why did his daughter, Anna Comnena, hate her brother, John, the co-Empero? Why did his wife, Irene Duca, promote Nicephorus Bryennius for the throne? People and events; failures, tears and sorrows, hopes, visions that faded, joys evaporated, meanness and passion. 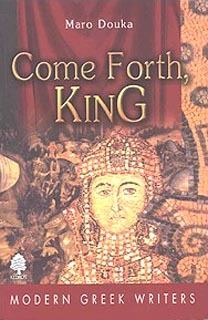 "Come Forth, King" attempts to revive the final glimmer of Byzantium and to take us back on a journey to those difficult years through the narrative of an insignificant palace member who, now retired to Sinope in Pontus, recalls the past with awe.